Our Crown Hotels oversized signature pillows and pillow cases are a must for the perfect nights sleep. Our Hotel range is larger than the standard size. Jaspa Herington King pillow. 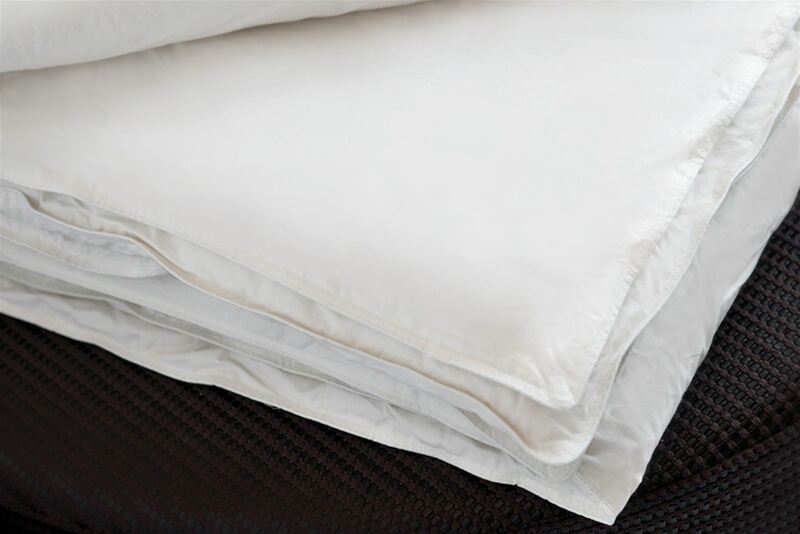 Crown Hotels Melbourne signature series, 50% duck down, 50% duck feather cotton cover - 84cm x 52cm. 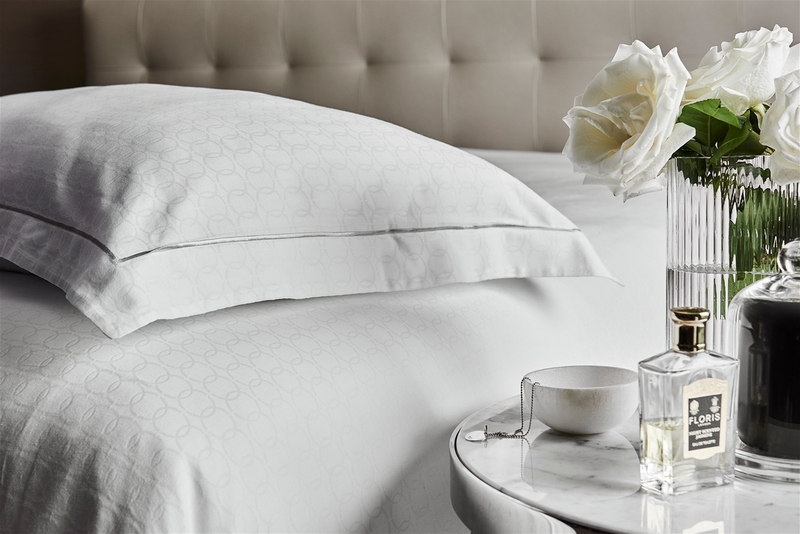 Crown Towers Melbourne white chain design doona cover. Available in Crown Hotels oversized King and Queen only. 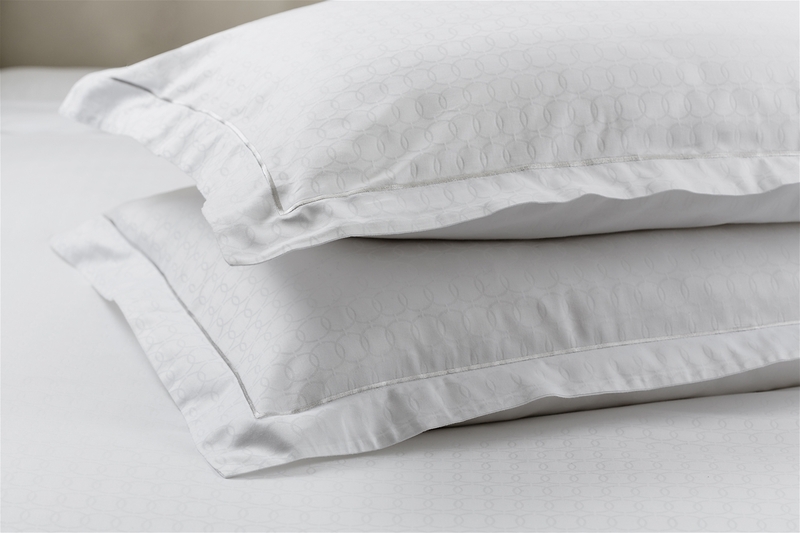 Crown Hotel linen sizes are larger than a standard size. Jaspa Herington Deluxe Comfort microfibre King pillow. 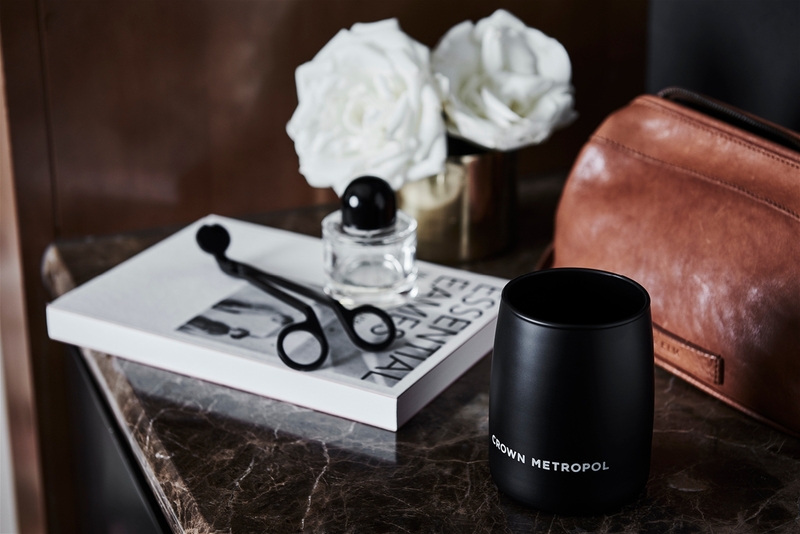 Filled with a generous 1600grams of soft and luxurious low allergy ExcelMicrofibre providing a beautiful down like feel. Crown Towers Melbourne Microfibre Quilt filled with luxurious, soft and cuddly ExcelMicrobre to promote good health and restful sleep. Covered in high quality cotton japara. Approved by National Asthma Council of Australia. Machine washable or Dry Clean. Available in Crown Hotels Queen and King size. Our hotels linen is larger than a standard size. This Quilt will be rolled out into all Melbourne Hotels by late 2018. Crown Hotels Melbourne White sheets, 75% cotton, 25% polyester. Available in Crown Hotels Queen or King size. 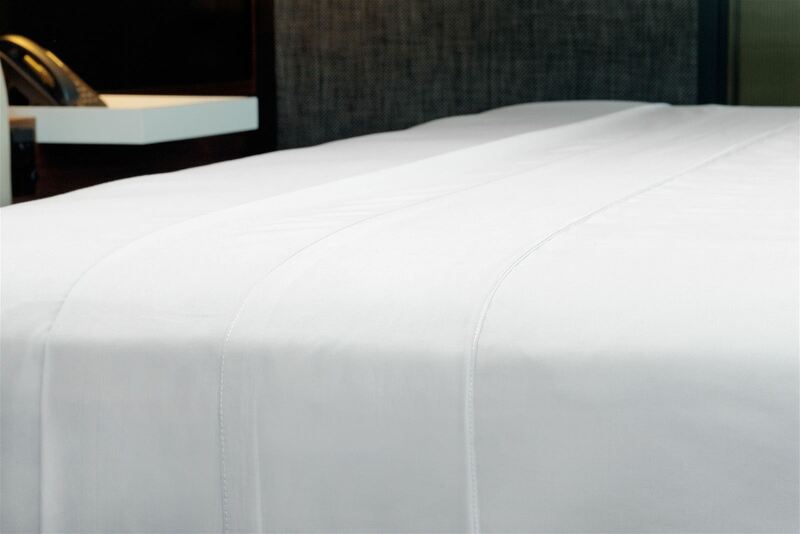 Crown Hotels Melbourne white base sheet, 75% cotton, 25% polyester, 300 x 300 cm.